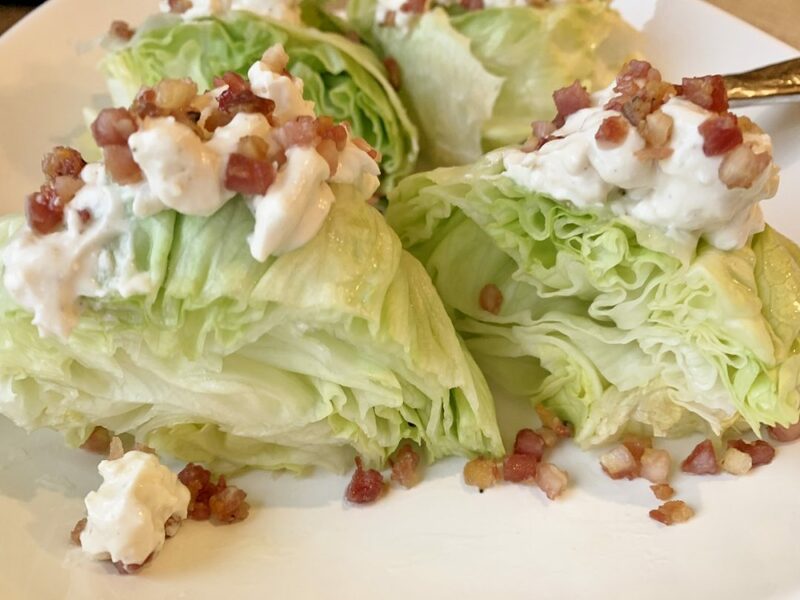 Steakhouse Wedge Salad - Recipe! - Live. Love. Laugh. Food. A “Wedge” Salad is a true comfort food to so many. I wouldn’t call it a health food, but it’s probably better for you than eating a bag of chips or some macaroni & cheese from a box. 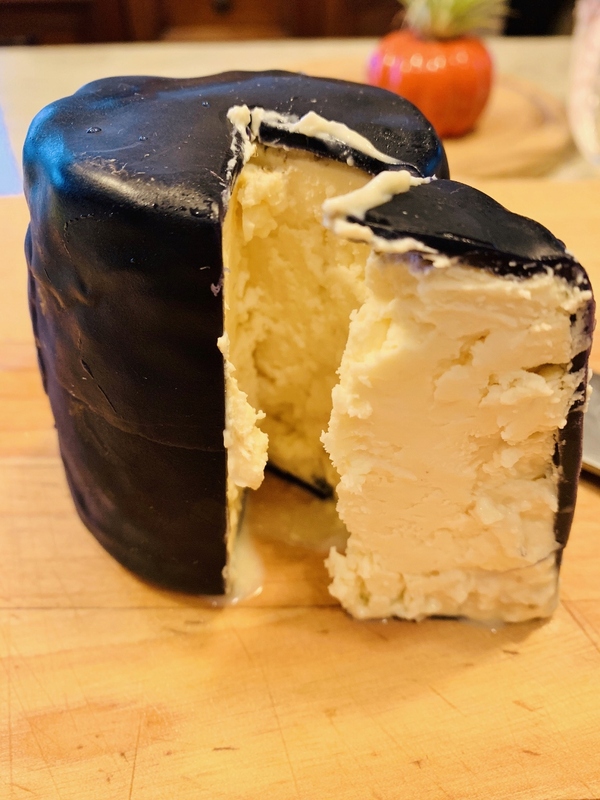 My husband thinks he is in heaven when he sees a Wedge on the menu when we are out to dinner, the only debate is whether I want to share it with him or not? 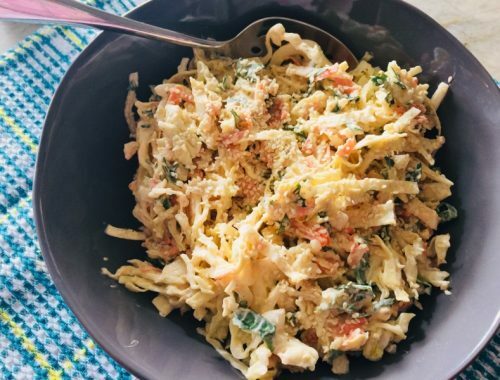 Usually I do give into his giddiness about this dish because he gets so much joy out of the combination of crisp cold lettuce, tangy blue cheese and those salty bacon bites. 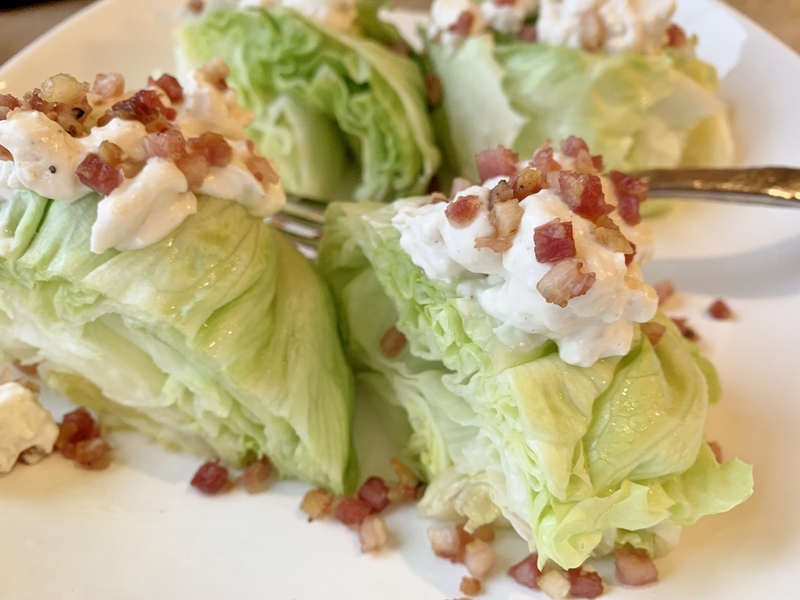 Creating a Wedge Salad just like they have on those expensive steakhouse menus is easy to do right in your own kitchen. 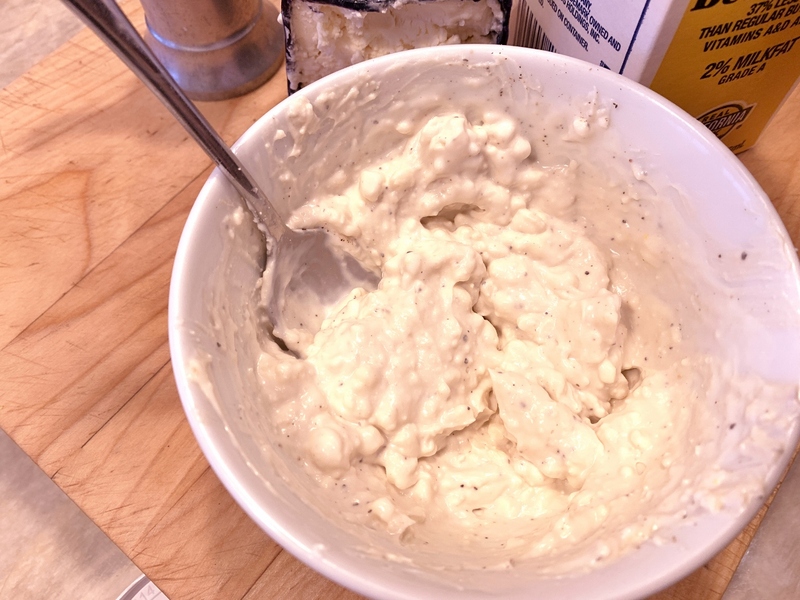 I think the most important thing is to buy a good quality blue cheese, so your dressing is thick and creamy with a sharp flavor. 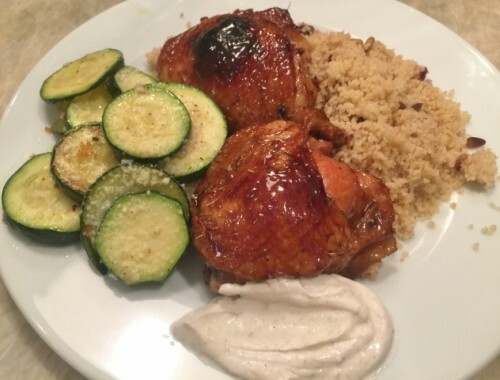 The dressing is the glue that brings the other components of the salad together and turns it into a restaurant experience. Some Wedge salads have Lardons or French-style cubed bacon, but I tend to think Pancetta represents just fine. Pancetta is easily cubed or found cubed in many grocery stores and crisps up nicely right on the stove top. You’ll enjoy the crunchy tender addition pancetta provides to the Wedge, not to mention it’s porky goodness. Iceberg is the traditional lettuce in this salad and I have tried other lettuces, much to my husband’s chagrin, and they just don’t offer the same results. Crisp water-based lettuce is what this salad is all about and if you try to green-it-up, you may not have many takers. I like to serve this Wedge Salad with steak of course, but it also is nice with roast chicken, or served all by itself at lunchtime. Wash and dry head of iceberg. 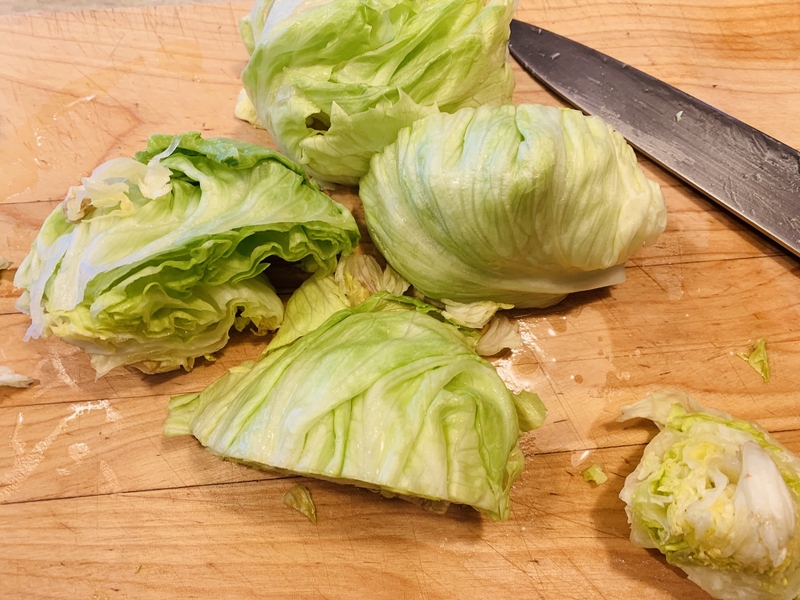 Remove core from bottom of head and slice lettuce into 4 quarters, set aside. In a small pan, crisp up pancetta. Set aside. 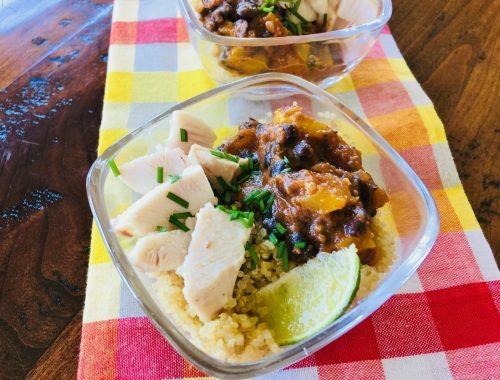 In a bowl, combine all dressing ingredients. Stir until creamy. To assemble salads – place wedges on a serving plate and dollop with a big spoonful of dressing. Sprinkle crisp pancetta cubes over the top. Apply a little more cracked pepper. Enjoy!